Paolo and Ludovica worked a lot in Italy and abroad in the field of arts and education. They have travelled through India many times, organizing activities with children. 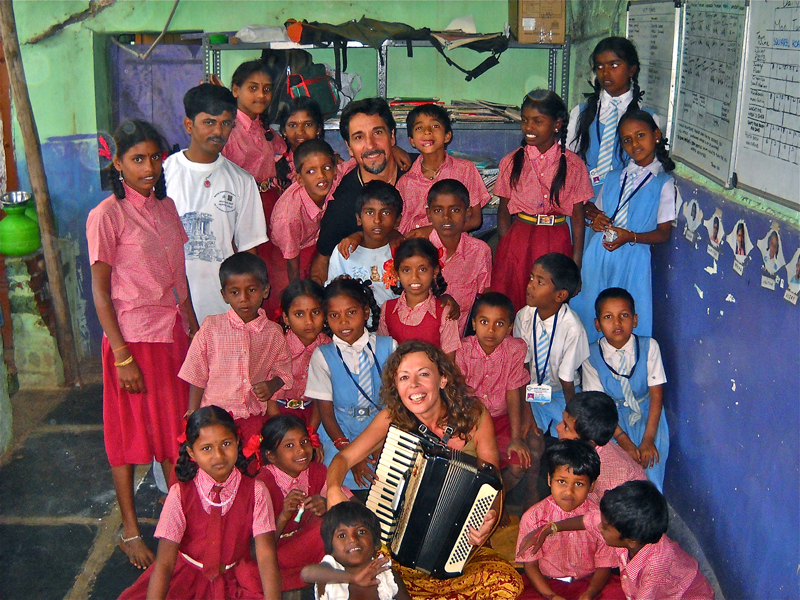 In Winter 2012 they organized short music workshops at Life Education Center in Auroville (Pondicherry), Hampi (Karnataka) and Benaulim (Goa). 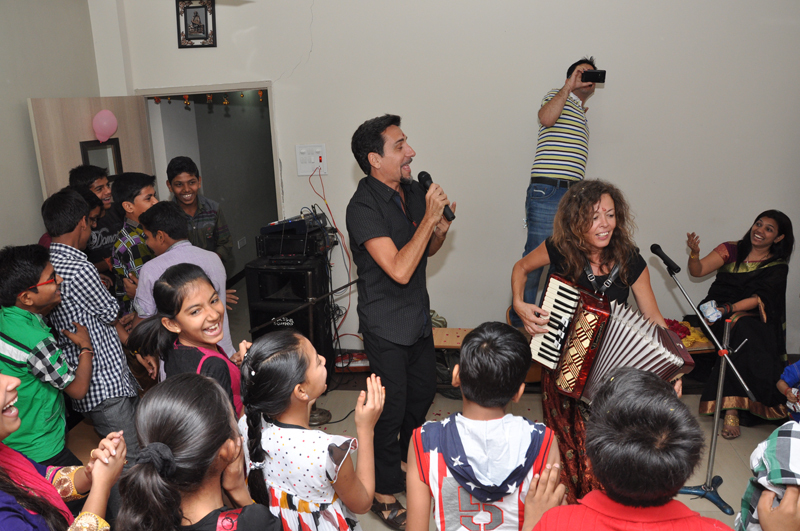 In Winter 2013 they ran the Music Project in Goa with Tara Trust India, composing songs with children from schools and orphanages and finally releasing a cd, Songs for Tara. After that they visited Madhya Pradesh and met children from other schools. 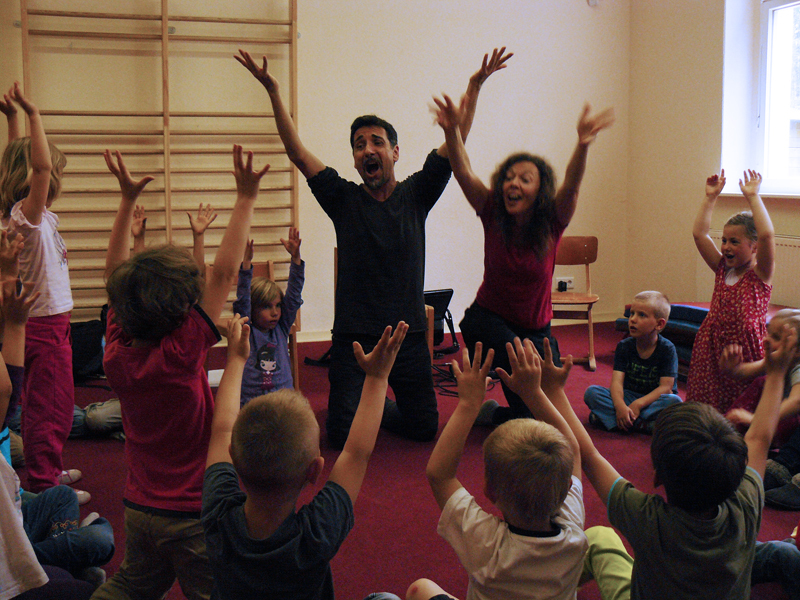 In May 2014 they visited Belzig (Germany) and had a workshop with the children from the local kindergarten and the nearby refugee camp. They often compose music for short films, documentaries, videos. Feel free to get in touch with Traindeville!